Our event was really challenging as we were scheduled for September 16th, and were hit by Hurricane Irma on September 10th. Many of our volunteers and guests evacuated before the hurricane and did not return until the 19th or later due to power outages and gas shortages. For the people that did show up it gave us an opportunity to show that EVs were still able to get around while people were waiting in 3 hour lines in hopes of getting gas after the hurricane. The people that did check out our event did seem very receptive to the ideals of driving electric and we have had communication from two of them that they bought used Nissan Leafs since then! In retrospect I believe it would be in our best interest to contact local news before the event and maybe we can get more local exposure, even if its 30 seconds on the nightly news. Fun for the whole family! 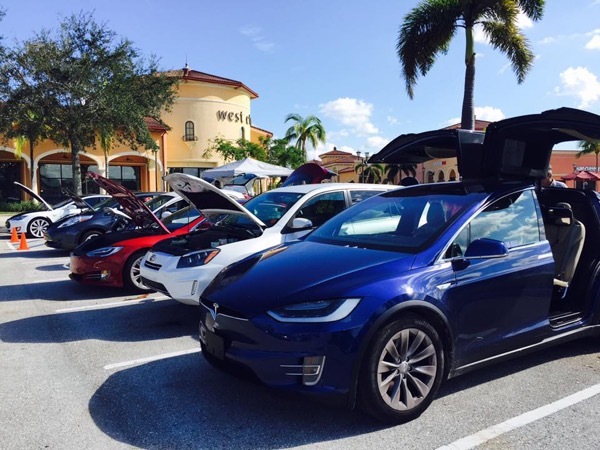 Experience electric vehicles of all makes and models and chat with the owners who drive them daily. Switching to an EV may be easier than you think! Registered attendees report 406,400 electric miles driven.